The 113th Men's London Open is taking the same format as last year, The Men's London Open Championships Series will run over just the one weekend returning to the Jean Brown Arena at Redbridge Leisure Centre, Forest Road, Barkingside Essex IG6 3HD. Enter online through GymNET when entries open or find more information on the Event Page which will be available soon. The London Men’s Open has a tradition of being one of the premier Men’s Artistic competitions in the UK and beyond. Pictured right - International Medalists at the 2014 Men's London Open. The London Open Elite Performance Pathway extends our offering to cater for gymnasts performing Elite Grade set routines Levels 1 – 6 and including U8's at Level 1. 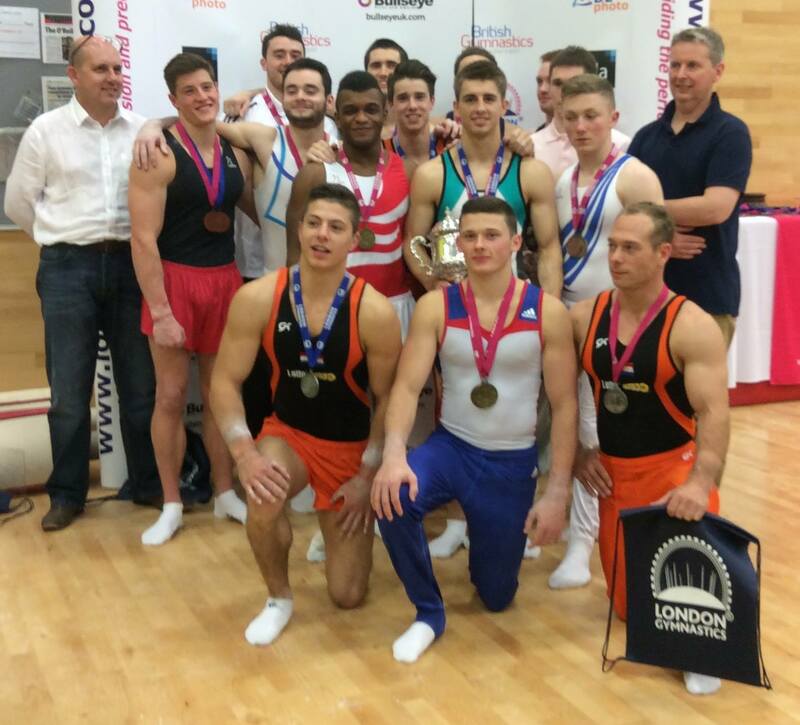 Ben Murphy of the London Gymnastics Major Event Team, comments: “For over 105 years, the Men’s London Open has been a main stay in the National calendar. For nearly 10 years now we have run the London Development competition alongside the London Open to cater for our club gymnasts. The Elite Performance Pathway Competition ensures that our Elite Grade competitors are catered for and is a great fit with the BG Elite Performance Pathway programme." The London Men's Open has been in existence since the early 1900's. The cup presented by the Duke of Westminster still remains today as one of the oldest cups to be challenged for in Great Britain. As a Men's Artistic competition only, the Open has for most of its time been a major competition not only within London - but also within British Gymnastics event calendar. The competition attracts individual gymnasts from clubs across the Country competing in three age groups (Under 14, Under 18 and Senior). Often used as a control trial for gymnasts to be part of Great Britain's European and World teams - we really do not only attract the best elite male gymnasts in Great Britain, but also gymnasts from overseas. By contrast the London Development Open, was born off the back of this success - but also to plug the gap of those competing at club and regional level who perhaps needed more competitions and better challenges. The rules and routines are all based on the last Club Development Grades, but with a mixture of additional age groups. Now regularly having around 250 gymnasts compete in one day, it is the perfect mix of a battle to win medals and a friendly atmosphere. Many clubs & regions use the competition to select their gymnasts for the National Club Development Grades. 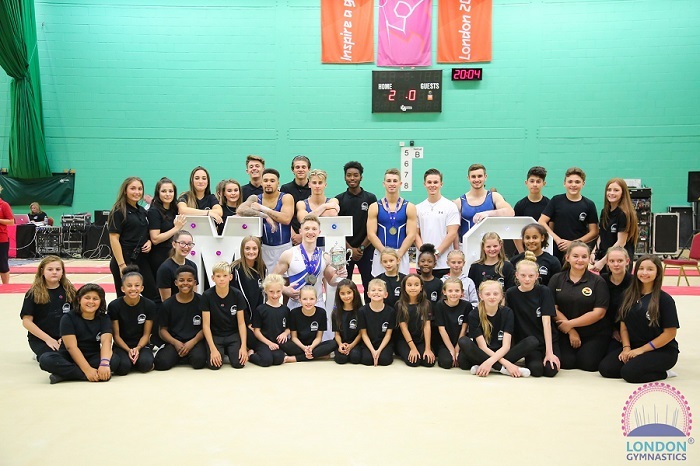 Pictured below are some of the young London Open Volunteers at the 2017 Event with some of the GB Gymnasts that competed.